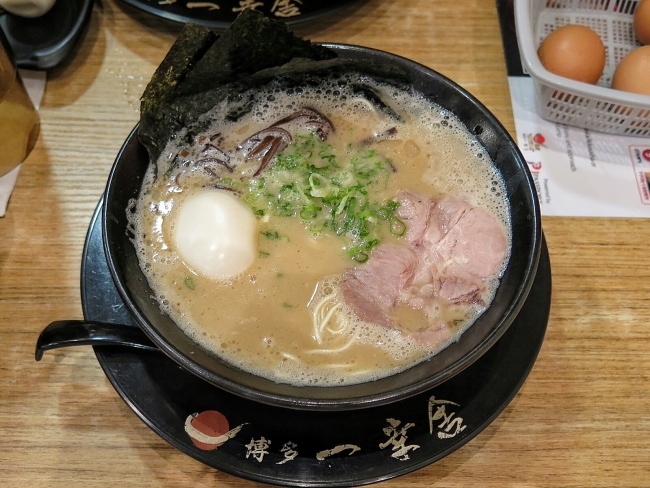 Hakata Ikkousha ~ Popularly known as the Ramen Champion Winner at Bugis + in 2012 and 2013. 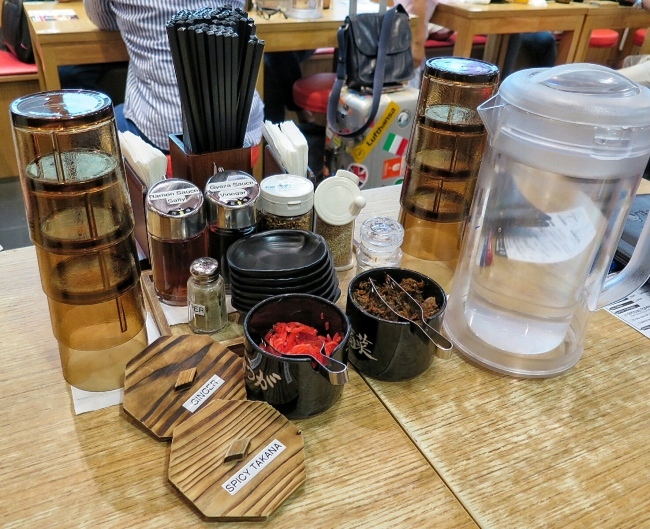 They have 2 branches (Tanjong Pagar, Chijmes). Chijmes - a lovely accessible place at City Hall but always easily forgotten by many people. I always feel it is a nice place with lovely ambience with many great food places. A cozy with not many seats place. 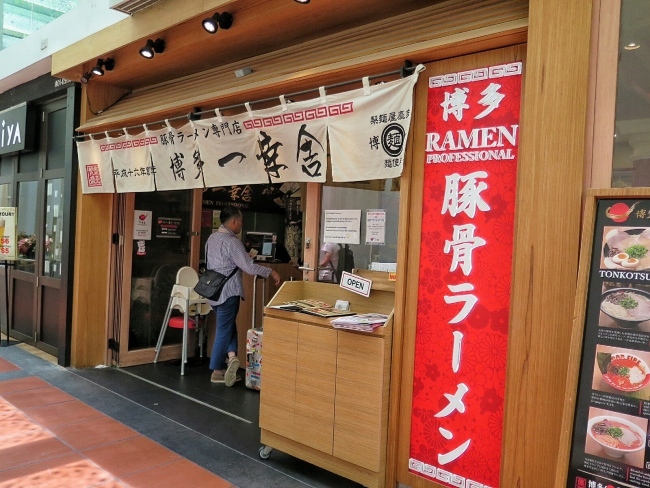 It gives you the feeling of eating at a ramen bar in Japan. Especially, there were some Japanese customers when I was there. 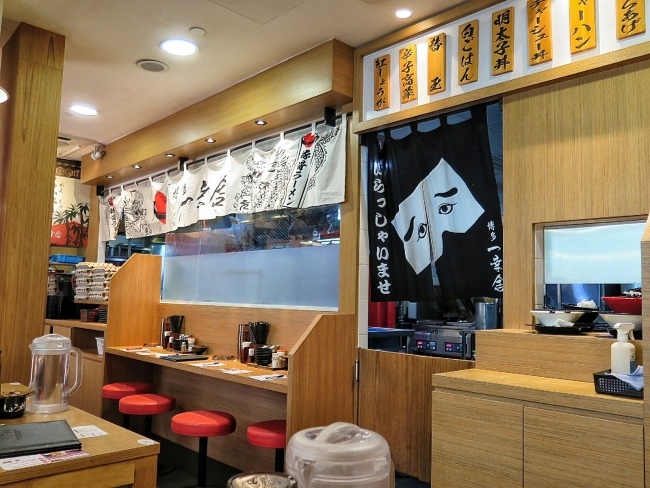 I always feel if the Japanese also patronise a Japanese restaurant. The quality should be good. Haha. I went there on a saturday for late lunch and I am glad that it was quite empty. No need to rush to finish the meal. 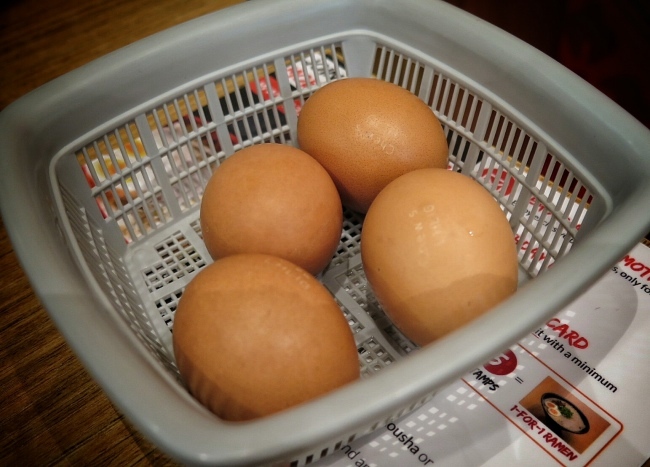 Wow They provide free boiled eggs! 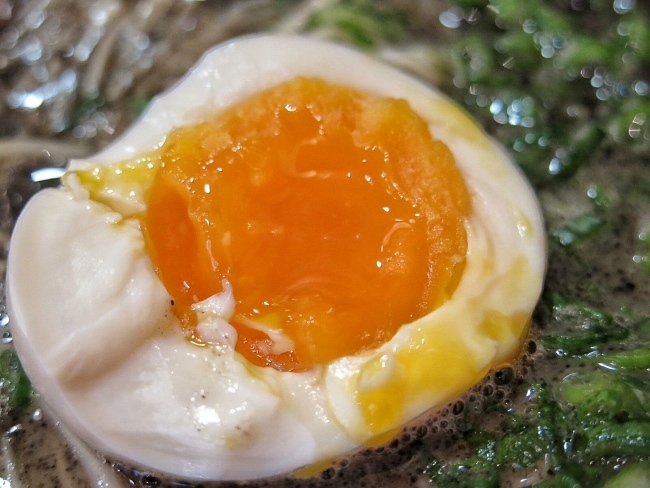 Great for Eggs Lover! 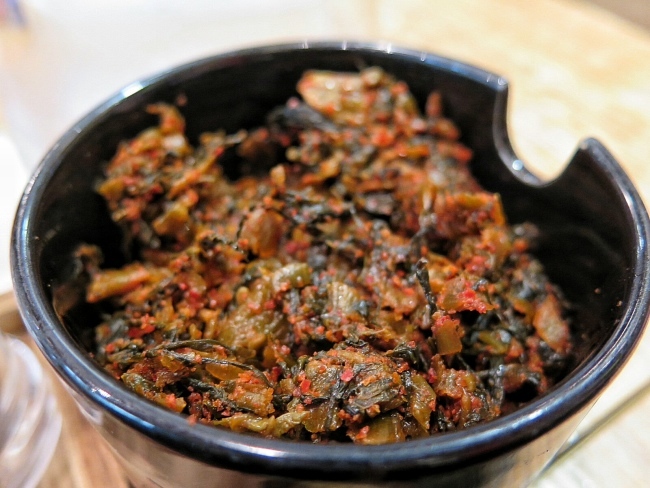 They also provide Karashi Takana (Spicy Mustard Greens) and Beni Shōga (Pickled Red Ginger) as condiments too. They give a different sparkle to the ramen. 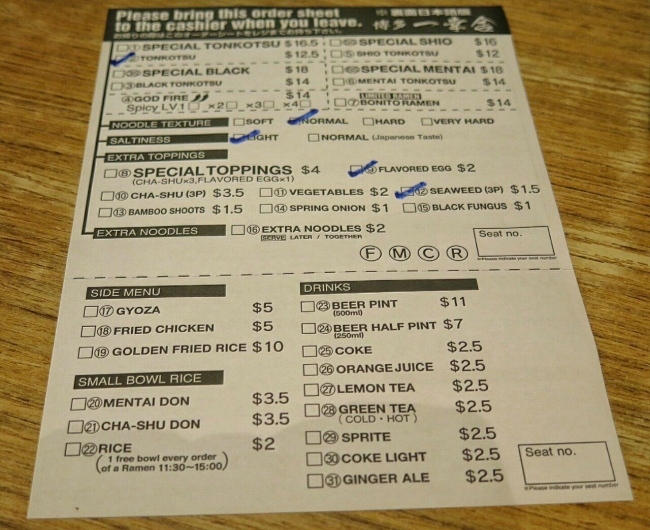 Tonkotsu S$12.50 ~ We ordered extra toppings of Flavoured Egg (S$2) and 3 pieces of Seaweed (S$1.50). 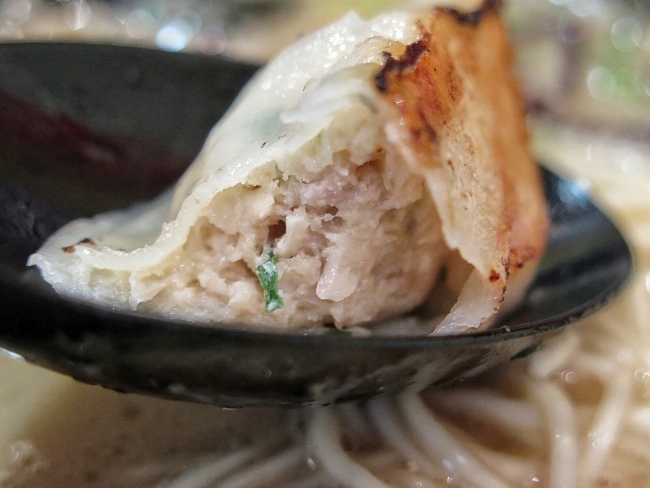 I understand that their broth is simmered for over 12 hours using pork bones. This gives the milky texture to their broth. Their pork chashu is lean and thinly sliced. I actually prefer the thicker and fatty type. The noodles are quite springy. Just nice for me. 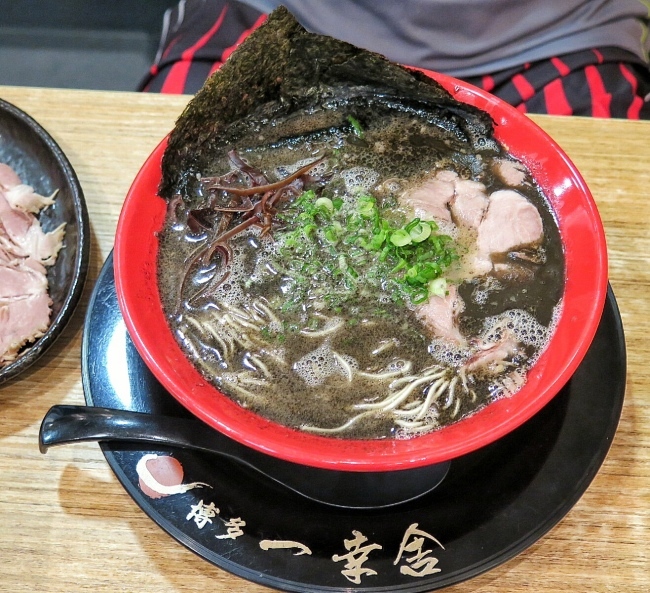 Black Tonkotsu S$14~ We ordered extra toppings of Flavoured Egg (S$2) and 3 pieces of Seaweed (S$1.50). too. Wow Black Broth! Interesting. They made the broth using special fried garlic. The garlic smell aren't too strong for me. 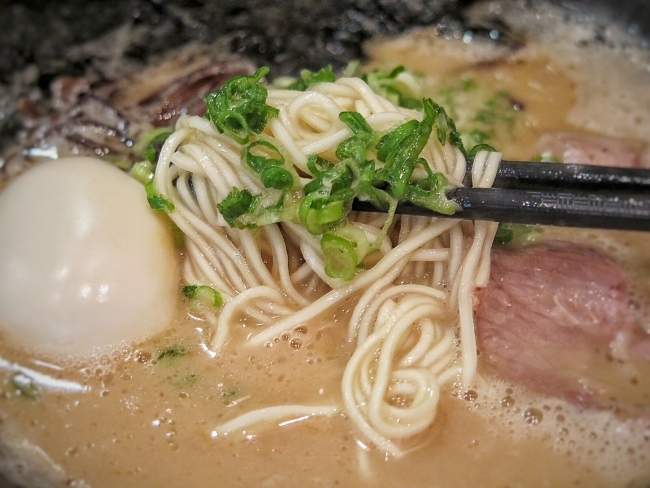 But I still prefer the normal Tonkotsu broth. 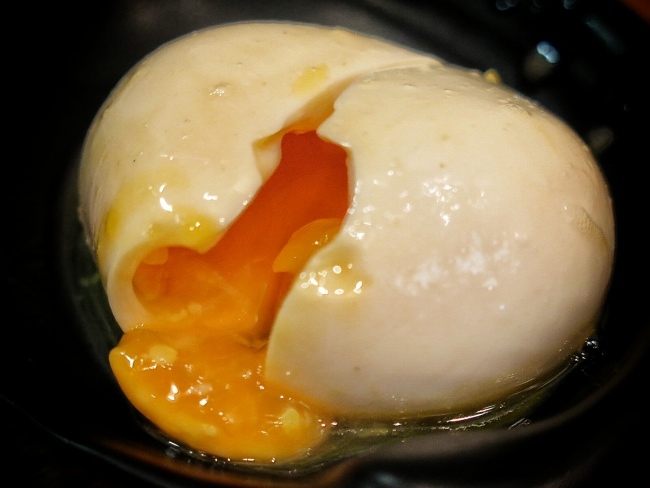 Flavoured Egg topping S$2~ Soft-Boiled Egg! My favourite topping for Ramen!~ I will feel something missing if there is no soft-boiled egg for my ramen. Wow look at that gold liquid yolk flowing out. Drool! 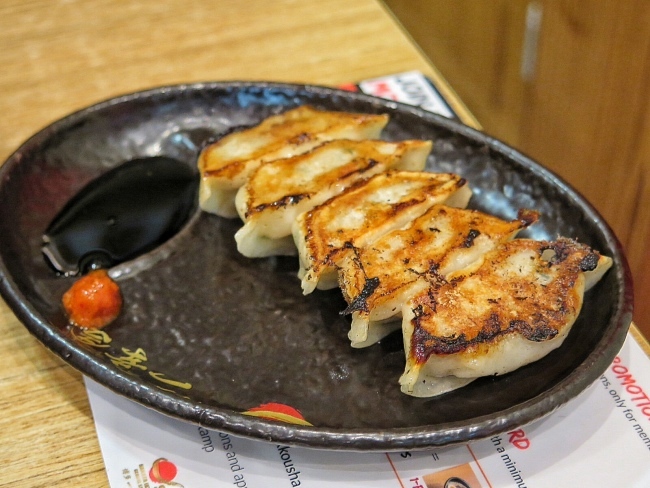 Gyoza S$5~ They are crispy with juicy meat filling but I think it look a bit too burnt. 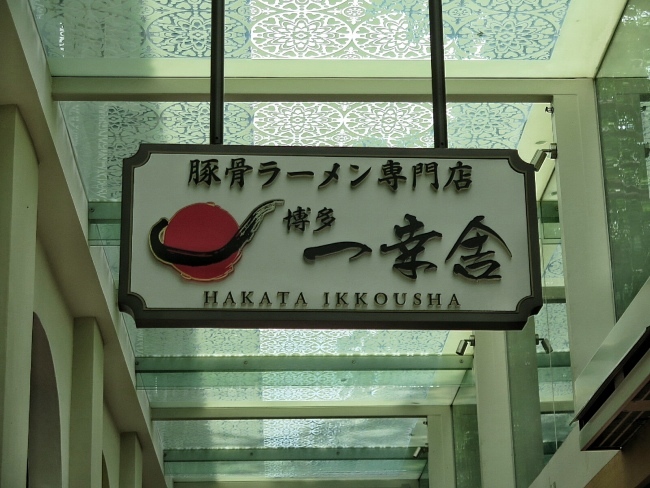 Hakata Ikkousha ~ Located at Chijmes. A very accessible location via City Hall MRT. Great place for lunch with family or friends. 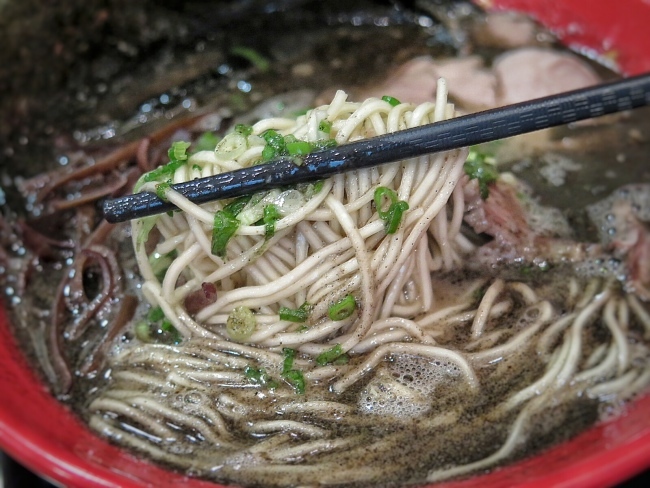 Hakata Ikkousha is popularly known as the Ramen Champion Winner at Bugis + in 2012 and 2013. I like it that they allow you to customise your ramen's noodle texture and saltiness. 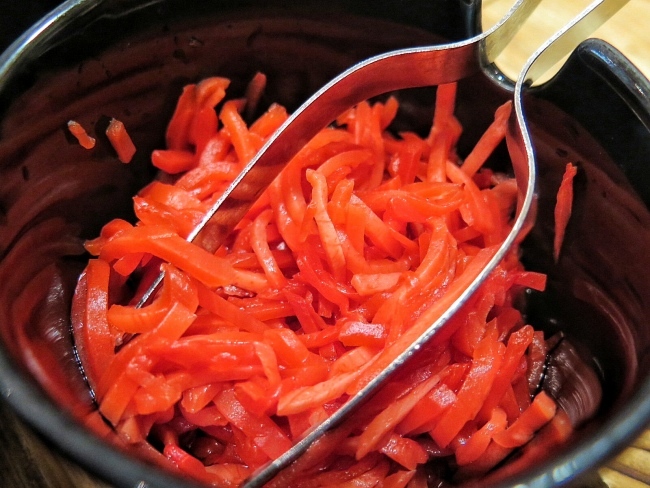 This help to cater to everyone taste buds.